in cinema at The Center for Advanced Judaic Studies at the University of Pennsylvania. He is the author of “Visions, Images and Dreams: Yiddish Film Past and Present”, “The American Jewish Story through Cinema and an upcoming book on Israeli cinema. 2016 US presidential campaign, the Syrian refugee crisis, and the Gaza war during Operation Protective Edge. 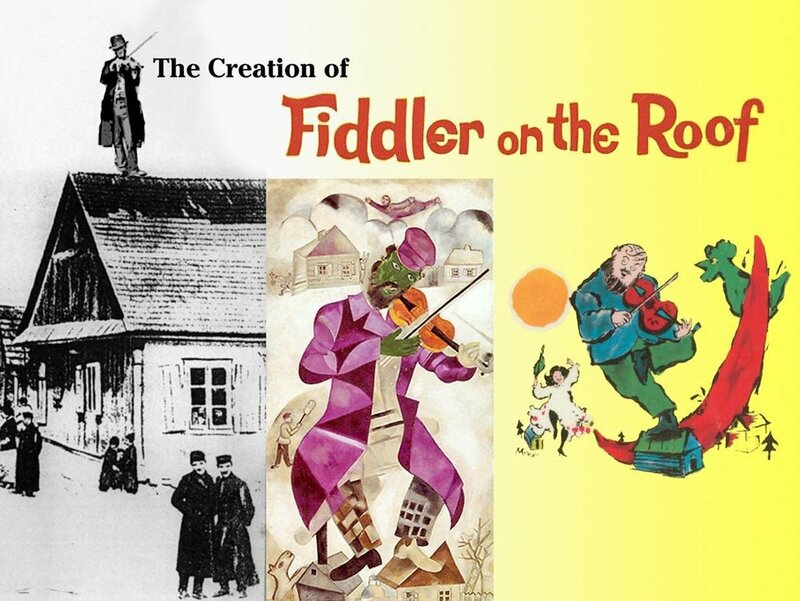 Learn how this beloved show's creators discovered the universality in Yiddish writer Sholom Aleichem's stories -- and how they made a "Jewish musical" that has struck a responsive chord in virtually every country in the world! Back by Popular Demand, musical theatre historian and graphic designer, Charles Troy, tells the story in a seamless 90-minute multimedia presentation with original graphics, scanned photos, edited audio tracks and video clips, a scripted dramatic narrative along with music performed by Charles Troy and with Alex Koffman and Gail Mangurten, violinist and pianist with the Maxwell Street Klezmer Band. Brought to life again on the concert stage by Amnon, Assi and Avshi Weinstein, Avshi Weinstein will illuminate, in this inaugural lecture of the Violins of Hope, the story of these incredible instruments that were silenced by the Holocaust. Each violin has its own unique and inspiring story that educates both young and old about the Holocaust in a deeply personal and emotional way. The voices and spirits of the violinists who perished, live on through their violins that have been lovingly restored by the Weinsteins. This PASSAGES presentation will also include a musical performance. attacks. She is a seasoned public speaker for the media, universities and government. Eve Harow, Radio Personality, Israel Tour Guide, and Israel Advocate and host of Judean Eve is a long-time community activist and Israeli tour guide. Her extensive work in Israel advocacy has taken her all over the world. Each week on "Rejuvenation" on the Land of Israel Network, Eve Harow brings listeners the Jewish perspective from the heartland of Israel, discussing her tours to various historical, natural and archaeological locations throughout the land. Eve interviews the personalities both big and small that make the Jewish State so interesting. Problems or suggestions on our website?